As we age, we all will develop wrinkles. That is the sad truth. And while some people embrace their beautiful laugh lines and crow’s feet, others want to hold onto their youth for as long as possible. Fine lines and wrinkles are not completely avoidable, but there are products you can use, things you can do, and treatments you can try that can help your skin retain its youth. Your skin loses collagen as you age, which causes your skin to lose elasticity and fullness. Your skin will begin to sag and fine lines will start to appear. This is a natural process that everyone will go through, but as we mentioned above, there are people who want to hold on to their youthful glow as long as they can. Even though wrinkles are basically unavoidable, there is a lot that can be done to slow the aging process. Whether you use DIY face masks or seek professional help, you have a ton of different options when it comes to smoothing your facial lines. At Azeal Dermatology Institute, we offer a wide variety of treatment and procedure options that can help. 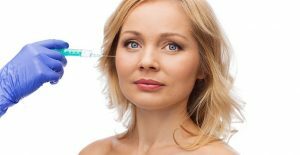 If you are looking for a wrinkle solution that will give you long lasting and dramatic results, these procedures may be a good choice for you. At our Boulder dermatology office, we work hard to provide our patients with the best possible services. We will make sure to give you all the information you need about the procedure and your skin type, and give you results that you love. We take pride in what we do, and we work hard to help our patients feel comfortable in their own skin. Many of our wrinkle reducing treatments and procedures fall under our cosmetic dermatology services. Our cosmetic dermatology services are meant to help enhance your look to help you love the skin you’re in. This includes reducing the appearance of wrinkles. We offer many different treatments that can help treat fine lines and wrinkles, as well as provide other benefits. Our laser treatments can even help with the appearance of wrinkles. These laser treatments are often used for a hair removal treatment, but these treatments can also be used for skin resurfacing, which help to improve the appearance of aging skin, reducing wrinkles and age spots. While laser treatments can help with many different skin concerns, there are other options for your worry lines. Neuromodulators and fillers are another great options. Neuromodulators, such as BOTOX can help by relaxing contracting muscles which cause wrinkles. By relaxing these muscles, wrinkles will be slower to form. Fillers are also injectables, but they work in a different way. Fillers are made of gel and are injected into different areas of the face to fill the areas. The gel will settle and add a fuller look to areas of the face that have lost their fullness. By filling these areas, the appearance of wrinkles will be diminished and you will be able to enjoy more youthful skin. Microneedling is another procedure that can help with the appearance of wrinkles. During this treatment, micro-injuries are created on the surface of the skin. This causes the skin to heal itself, which results in a thicker dermis and less visible wrinkles. It can also help with the appearance of stretch marks and sun spots. Most of our wrinkle treatments can be found under our cosmetic dermatology services, but we also offer a wide range of facial types while can help with wrinkles. Our hydrafacial is the most effect facial for ridding your skin of fine lines, but the medical facial, chemical peel, and dermaplaning treatments also have the ability to help your face look more youthful. Azeal Dermatology Institute in Boulder offers a wide range of procedures and treatments that can change the appearance of your skin. But we also offer products that can help prevent aging, from sun screens to eye creams and everything in between. Using the right products is one things you can do to help your skin and keep it looking younger for longer. There are many home remedies, DIY face masks, and other daily habits you can add into your routine to help your skin from aging too quickly. Keep reading to learn more about daily habits you can develop that keep your skin more youthful. There are some obvious things that we discussed in a past blog, these included things like not smoking, avoid too much sun exposure, and having a healthy diet. These can help to prevent you from getting wrinkles too soon. But there are others things you can do that you may never have thought of. 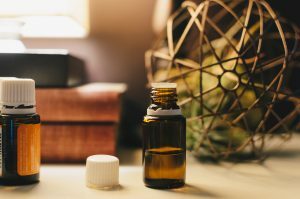 In an article from Natural Living Ideas, they state that using natural oils, such as rosehip seed oil, argan oil, and coconut oil, can help to protect and rejuvenate the skin. The skin cells will be able to make healthy membranes which can reduce inflammation and stimulate the production of collagen. Another article from Medical Daily mentions that coconut oils can prevent free radicals from forming, which are the primary cause of aging. The moisturizing properties of natural oils can help the skin as well. While there are many different natural oils that can be used to prevent wrinkles, each has other benefits as well. While washing your face may help it feel clean and tighter, you may actually be doing more harm than good. Washing your face too often can cause you to strip the natural oils from your face, which causes your skin to produce more oils, which can cause breakouts. Even if your face is looking or feeling greasy, don’t wash it too often throughout the day, it will backfire and cause your face to become even more oily. When washing your face, be sure to not use soap. The Natural Living Ideas article mentions that soap is alkaline, while your skin’s natural barrier is made up of an acid mantle. So, when you use soap to wash your face, you are throwing off the pH balance, which can create problems with your face. Using a gentle face wash or moisturizing right after washing your face with your favorite soap can help to keep your face from showing wrinkles too early. Sleeping is a beautiful thing, but if you want to get the best beauty sleep, be sure you don’t roll around too much. While it may be hard, sleeping on your back can help to prevent wrinkles from forming overtime. People who sleep on their stomachs or sides are more prone to get wrinkles earlier because their faces are always pushed into the bed or the pillow. Side sleepers may notice wrinkles on their cheeks and chins earlier than those who sleep on their backs. And stomach snoozers may find fine lines around their brows if they sleep that way every night. While this may be a lot to ask, sleeping on your back can help prevent wrinkles, but this is an every night thing. Sleeping on your back once a week won’t do any good. If sleeping on your back is out of the question, perhaps try some of the other methods first. The Natural Living Ideas article also mentioned that eating chocolate can help reduce the appearance of wrinkles. But before you go and eat an entire bag of M&Ms, let us finish. Dark chocolate can help to prevent wrinkles. An antioxidant found in cocoa, called catechin, is great for your skin and can help with the appearance of wrinkles. A study found that cacao may be able to significantly reduce the appearance of wrinkles that were caused by sun exposure. When you are indulging in your daily dose of chocolate, be sure that it is at least 70 percent cacao. With that being said, sugar is something you should avoid if your want your skin looking younger. A study has found that a diet which consists of high amounts of sugar and refined carbs can be more aging than spending a lifetime out in the sun. That says a lot. Reducing your sugar intake can help to keep your collagen protected and your skin more elastic. 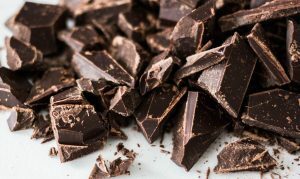 So, while dark chocolate may be beneficial to your skin in moderation, be sure you aren’t consuming sugary chocolate or other sweets with high sugar content. These are a few of the many things you can do to help prevent aging and reduce the appearance of wrinkles already visible on your face. There are many different remedies and daily habits you can adopt to help keep your skin looking younger. You can be sure to purchase the right products as well, and create DIY face masks with natural and beneficial ingredients. The options are truly endless. But if you want results that last, head into your Boulder dermatologist. Azeal Dermatology Institute offers treatments and procedures that can help to give your the results you want that are long lasting. Enjoy a more youthful appearance with the help of our trained and caring team, we will provide you with the results you want. Make an appointment with Azeal today and be sure to contact us with any questions you may have! We look forward to helping you love your skin again.